The iPad Mini Rust Cases (￥3,980Prices are approximate only and subject to change. White Rabbit Express service fee and other costs not included.) are a collaboration between Bird-Electrons and Shima Works. Taskashi Shima often employs rusty, aged surfaces to reveal their derelict beauty in his designs. The passing of time and its effect on metal is a re-occurring theme of his work and especially fascinating when paired with hi-tech objects like the shiny and glossy Apple products. 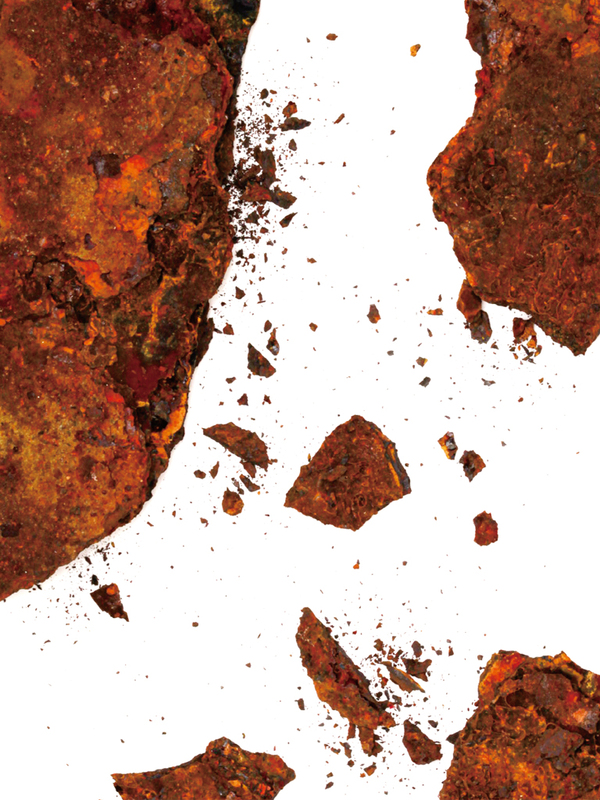 The “Bleed” version features a reddish brown rust motif while the “Split” Cover is more translucent and resembles a liquid being poured over the item.